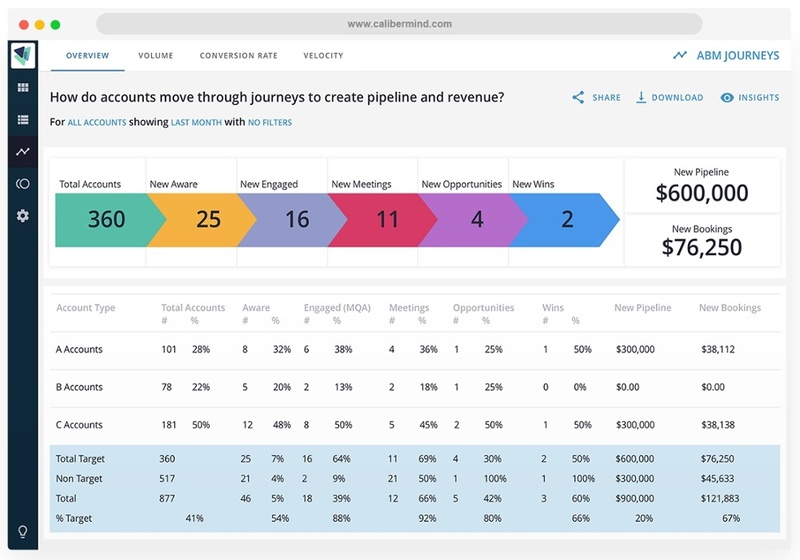 CaliberMind, a B2B customer data platform provider, has launched a self-service, three-in-one B2B marketing analytics and attribution suite. Announced at the MarTech East conference in Boston this week, the suite aims to power B2B marketers with data integration, analytics and smart workflow automation to align with sales and grow revenue. The product is built on CaliberMind’s customer data platform and is designed to automatically pull marketing and sales data from CRM, marketing automation, web analytics, social ads and other siloed marketing tools. It also cleanses the data, builds account lists and automates the dashboard, according to the company. Marketers can test the suite here. Pricing starts at $1,000/month based on CRM records and number of system connectors.